Will We Ever Have Smart Apartments? Renters, rejoice! 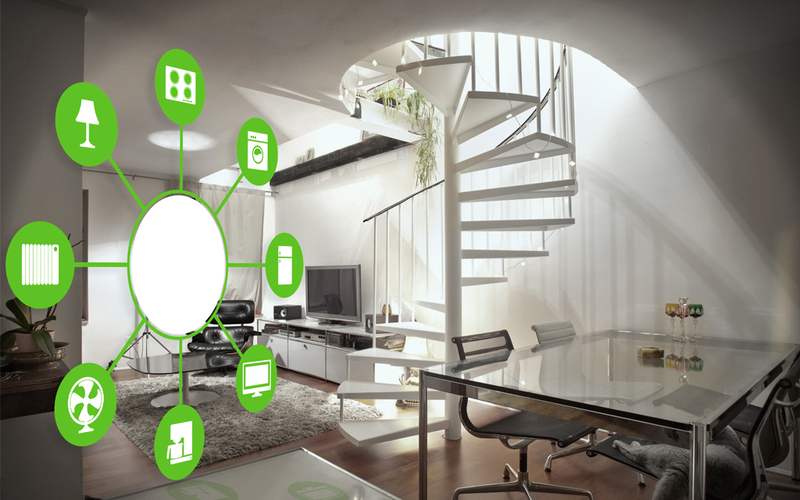 Smart apartment technology is here. If you’re one of the many smartphone owners whose most committed, long-term relationship to date has been with rental apartment living, you must be wondering if our increasingly smartphone-loving society will ever have smart apartments. After all, smartphone technology has made our social, economic and professional lives so much more convenient. Why wouldn’t we apply that same technology to our homes? With the ample selection of residential apps and devices available for use with compatible smartphones, tablets and PCs, the smart apartment may actually already exist for those who want it and are willing to pay for it. The following are just a few of the residential apps and devices that will allow you to make your rental apartment smarter without having to add any permanent hardware that could jeopardize both the constructional integrity of your apartment as well as your chances of getting your deposit back if you decide to move. The Honeywell Lyric Smart Thermostat is a low-maintenance way to save energy and money while boosting the comfort of your home. Honeywell’s smart thermostat takes humidity levels as well as indoor and outdoor temperatures into consideration as it works to create your perfect home climate. The Lyric thermostat will alert you through your smartphone if any unusual or severe temperature changes occur so you can keep your energy costs at bay. This smart thermostat also allows users to modify their comfort from the palm of their hand by designing specific shortcuts for different situations. Save your favorite shortcuts and they’ll always be available to you from your app. Use your compatible smartphone or tablet to control the temperature of your home from anywhere, and you’ll never again have to walk into an apartment that could pass for an enormous oven or the Arctic tundra. The Belkin WeMo Smart LED Bulb seems like magic. This bulb gives off a light comparable in brightness and warmth to that of a customary 60-watt incandescent bulb, but only uses 10 watts of energy and can last for up to 23 years. With the help of the WeMo app, the days of coming home to stumble through a dark apartment are over. The Belkin WeMo Smart LED Bulb can be turned on or off from your couch or your commute and everywhere in between. Additionally, users can dim their Belkin WeMo Smart LED Bulbs to set a romantic mood or watch a show, and they can program them to react to both sunrise and sunset. Replace your old bulbs with Belkin WeMo Smart LED Bulbs and enjoy the peace of mind that comes with saving money on energy costs and never again having to obsess over whether you left your kitchen light on. Nest Protect is a smart smoke detector that takes the hassle and annoyance out of a crucial part of at-home fire safety. Renters and homeowners alike often make the mistake of removing all the batteries from their smoke detector just to keep from hearing its incessant, annoying beeping. While this is an understandable reaction, as most smoke detectors will go off due to something as harmless as burnt toast, it is incredibly unsafe. Rather than employing the harsh beeping of traditional smoke alarms, Nest Protect calmly emits spoken warnings letting users know which room the smoke is coming from. Unless the level of smoke detected is too dangerous to ignore, it only takes the push of a button to silence these warnings. This is a nice change from having to climb on top of your dining chairs and maniacally wave a dishtowel in front of your smoke detector. This device also determines unhealthy amounts of carbon monoxide, sends texts to user’s smartphones when smoke is detected and can be controlled remotely using the Nest Mobile app. So, will we ever have smart apartments? If you’re fortunate enough to have Wi-Fi access and a smartphone compatible with the apps and devices listed above, I think it’s safe to say we kind of already do.